Love the jasmine rice but want to take it to another level. Try green onion rice. Here’s a super easy rice recipe which is all done in the microwave. 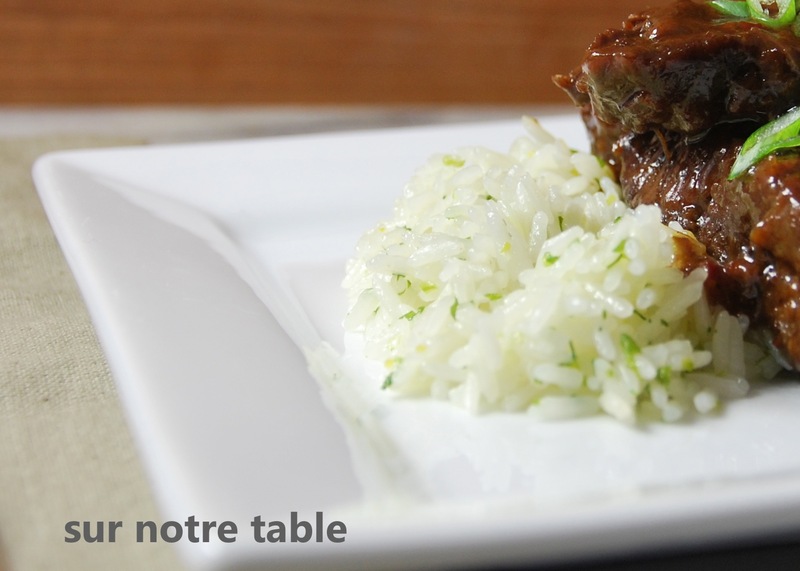 This green onion jasmine rice is a great accompaniment to anything Asian, such as seen in my previous post, Asian beef short ribs. I’m not one to use the microwave for much, except for melting butter, however I do like this recipe because it’s so simple and it goes a little further than just plain white rice. In this one you just need a bowl, a microwave and plastic wrap! Finely chop the green onions and mix them in a large microwavable bowl with the oil to form a paste. Add the rice to the boil with the water and salt. Cover the bowl tightly with microwave plastic wrap. Microwave at 100% power for 5 minutes. Then microwave at 50% power for another 5 minutes. Carefully remove bowl from microwave and let rice rest covered for 5 additional minutes. When ready remove plastic wrap and serve! That’s it! I knew there was a reason to keep the microwave!